It’s a run­ning joke amongst my friends that my favourite game genre is “Ukrainian Misery Simulator” due to my love of the S.T.A.L.K.E.R. and Metro video game se­ries pro­duced there. I want to share some­thing I feel is vi­tal about the games, some­thing that gives them a great deal of their ap­peal –- the fact it is im­mersed in the na­tion and cul­ture of those who cre­at­ed it. S.T.A.L.K.E.R. in par­tic­u­lar is a prod­uct of peo­ple who grew up in the fig­u­ra­tive shad­ow of Chernobyl; a group of peo­ple who aren’t sim­ply us­ing it as a ref­er­ence point but have an in­ti­mate knowl­edge and ground­ing in the cul­ture and his­to­ry of the set­ting they are us­ing for their game. A lot of games have used Chernobyl for the “cool fac­tor” and there’s noth­ing re­al­ly wrong with ref­er­enc­ing it, but shouldn’t we be cel­e­brat­ing games that re­al­ly il­lu­mi­nate a place we sel­dom see from the point of view of those who live right next to it? 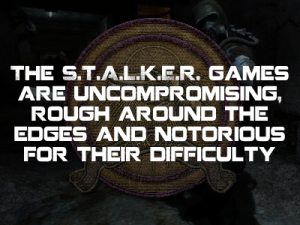 First a lit­tle back­ground: Between 2007 and 2009, the now de­funct GSC Gameworld pro­duced the main game : S.T.A.L.K.E.R. Shadow of Chernobyl and two stand‐alone ex­pan­sions; S.T.A.L.K.E.R. Clear Sky — a pre­quel — and S.T.A.L.K.E.R. Call of Pripyat. They are set in a fic­tion­alised ver­sion of the Chernobyl Exclusion zone, but nev­er the less de­pict real lo­ca­tions with­in them with al­most ob­ses­sive de­tail. The games have sold mil­lions of copies world­wide, many of those in Europe, and have de­vel­oped a cult fol­low­ing to say the least. The S.T.A.L.K.E.R. games are un­com­pro­mis­ing, rough around the edges and no­to­ri­ous for their dif­fi­cul­ty and glitch­es (al­though many bun­gled mod­ern AAA re­leas­es seem to sur­pass them on bug counts and launch is­sues to be hon­est.) They have a unique blend of RPG‐like pro­gres­sion through equip­ment, weapons and arte­facts and a keen fo­cus on semi‐realistic weapon han­dling. These games play like noth­ing else. There is a lot of talk on the “pro­gres­sion of games as a medi­um” top­ic, but from where I’m sit­ting, the progress many are clam­our­ing for has al­ready been hap­pen­ing and has large­ly been ig­nored. For such a unique game to come out of a genre seen as “stag­nant’ in the last decade should be a cause for cel­e­bra­tion, al­though I con­test that many who scoff at the First Person Shooter land­scape are sim­ply ig­nor­ing and miss­ing all of the in­ter­est­ing se­ries like the Metro and the ARMA and the S.T.A.L.K.E.R. se­ries of games. S.T.A.L.K.E.R. also re­flects the gam­ing habits of the Ukraine; I’ve seen es­ti­mates that say a con­sole game at full re­tail price can cost more than a stu­dent would earn in a month due to some pret­ty in­sane lo­cal pric­ing poli­cies and lo­cal­iza­tion is­sues in the area. This is why PC games are so much more pop­u­lar in Eastern Europe — rel­a­tive­ly their price is much low­er. So we have a Russian/Ukrainian lan­guage game, set in the Ukraine cre­at­ed on a plat­form most ac­ces­si­ble to the Ukraine sur­round­ing na­tions. Somewhere along the line, some crit­ics said this game achieved the same lev­el of ac­cep­tance among gamers as mas­sive­ly bud­get con­soled shoot­ers in the mind of many be­cause it is a shoot­er made by white peo­ple. I can’t fath­om the mind that thinks like this about video games. How has the de­bate be­come so blind to re­al­i­ty? 3D games that in­hab­it the top end of the PC mar­ket and have mul­ti­ple lay­ers of com­plex­i­ty in their de­sign aren’t be­ing pushed to the fore­front like some of the more pre­ten­tious west­ern “art” games out there have been. I sub­mit to you, that the de­cay­ing and fair­ly ac­cu­rate world of “The Zone” is every bit a work of art some grant‐funded walk­ing sim­u­la­tor is. Through hav­ing ac­tu­al game­play, it’s cer­tain­ly the set­ting for a vast­ly su­pe­ri­or ex­pe­ri­ence than most “art” game ex­pe­ri­ences. S.T.A.L.K.E.R. isn’t “fun” in the tra­di­tion­al sense, it’s melan­cholic and moody but still im­mense­ly en­joy­able. It’s of­ten cit­ed as be­ing a mas­ter­stroke of the much less tan­gi­ble con­cept of im­mer­sion, and I would have to agree with this view. S.T.A.L.K.E.R. also re­al­ly feels Ukrainian, from the land­scape, to the build­ings, to the iconog­ra­phy to the mu­sic played in The Zone. I think where many “di­ver­si­ty fo­cused” games go wrong is that they have a premise that push­es the right but­tons but they can’t turn that into a game the mar­ket wants to play en masse. S.T.A.L.K.E.R. shows that you can make a game that is bizarre and buck con­ven­tion­al wis­dom while also be­ing com­mer­cial­ly and crit­i­cal­ly suc­cess­ful, as well as de­vel­op­ing a ded­i­cat­ed fan base. The main prob­lem with di­ver­si­ty quo­tas is they es­pe­cial­ly crip­pler games with gen­uine­ly tight bud­gets. Last year Ubisoft was pil­lo­ried and hound­ed by the gam­ing press for not hav­ing a playable fe­male char­ac­ters in Assassins Creed: Unity. The Witcher se­ries has been set upon by the same press ea­ger to im­pose their ideals on a game world. Well, the world of The Zone fea­tures zero women. Not one. I won­der what the out­rage brigade would make of that if this game were re­leased to­day? Would they re­al­ize S.T.A.L.K.E.R. was built with pas­sion but on a shoe‐string bud­get? What the game does, it does well by sac­ri­fic­ing some oth­er as­pects of de­sign that AAA games rely heav­i­ly on. In do­ing so, they can com­pete where it counts. In the game play. A lot of as­pects fell by the way­side; the first S.T.A.L.K.E.R. game was ob­jec­tive­ly un­fin­ished and lacked a re­pair sys­tem that was clear­ly meant to be in the game when re­leased. There are no women in The Zone be­cause every­one had pret­ty much the same body mod­el with dif­fer­ent ar­mour. S.T.A.L.K.E.R. is a patch­work of mod­els and sys­tems rang­ing from 2001 to its even­tu­al re­lease in 2007. 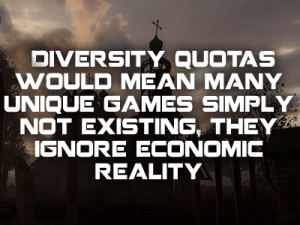 Diversity quo­tas would mean many unique games would sim­ply not ex­ist. These kind of de­mands of­ten ig­nore eco­nom­ic re­al­i­ty. The call for what amounts to to­kenism that comes from sec­tions of the in­dus­try and large chunks of the press is a call for ho­mo­gene­ity. It is a call for uni­for­mi­ty in all gam­ing con­tent that would re­move the very cul­tur­al and di­verse as­pects they claim to want to fur­ther the cause of. Applying the strong‐arm of di­ver­si­ty pol­i­tics to projects with very spe­cif­ic goals and lit­tle fund­ing can ren­ders them mediocre. S.T.A.L.K.E.R. isn’t a game about race, it isn’t a game­about gen­der, it is about an eco­log­i­cal dis­as­ter zone and the post‐Soviet de­cay a group of de­sign­ers saw every day when they looked out of their win­dows. It is about a sto­ry and world in­spired by the fic­tion of Arkady and Boris Strugatsky. A sto­ry in­spired by Roadside Picnic and about ro­bust gun­play that of­fers bal­lis­tics gen­er­al­ly re­served for more sim­u­la­tion based shoot­ers. Most of all, though, it is about a Ukrainian game studio’s de­ter­mi­na­tion to be the best, de­spite the dis­ad­van­tage of their fund­ing and lo­ca­tion. When you look at the mar­ket, it is painful­ly ob­vi­ous to those look­ing that many of the most fa­nat­i­cal gamers are most fond of new and unique ex­pe­ri­ences, ex­pe­ri­ences that are ac­tu­al­ly en­gag­ing, chal­leng­ing and im­merse you in a world you didn’t know ex­ist­ed be­fore. Either through de­lib­er­ate de­ci­sion or sim­ple lack of lo­cal­iza­tion fund­ing, the in­ci­den­tal voic­es in S.T.A.L.K.E.R. most­ly re­main in their na­tive lan­guage. This has the added ef­fect of im­mers­ing you fur­ther in the world and has also led to a few amus­ing mis­heard lines be­com­ing memes like “CHEEKI BREEKI” from the re­peat­ed di­a­log of some of The Zone’s ban­dits. This doesn’t feel like a game pro­duced any­where else. The voic­es, the iconog­ra­phy, the fa­mil­iar­i­ty with the Warsaw pact weapons that the Ukraine still has lu­di­crous stock­piles of… this is a dif­fer­ent cul­ture com­ing through loud and clear in a video game and the di­ver­si­ty ob­ses­sives would rather talk about their own hang‐ups with gen­der and race. When all is said and done, S.T.A.L.K.E.R. is a game that has in­spired many peo­ple. To this day an in­cred­i­bly com­pre­hen­sive and am­bi­tious mod­ding projects are on­go­ing like MISERY 2.1 and The Lost Alpha. It’s a world that has cre­at­ed pas­sion and com­mit­ment and it keeps peo­ple com­ing back time af­ter time to make their own ad­ven­tures in The Zone. 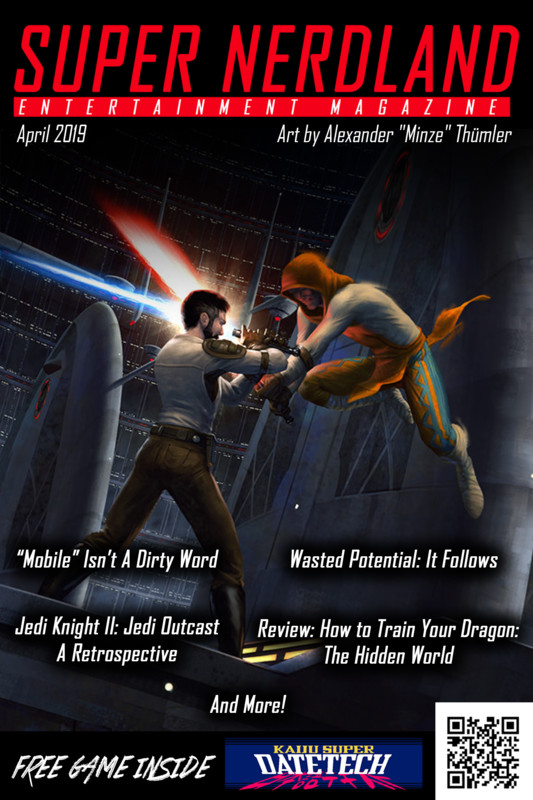 Even six years af­ter the most re­cent ti­tle was re­leased it’s still many PC gamer’s favourite. All the while stay­ing true to the vi­sion and quirks of its cre­ators. There are many games out there like this, with a strong na­tion­al and cul­tur­al stamp on them we haven’t seen be­fore, if only the press would take off the iden­ti­ty pol­i­tics gog­gles and look for them. 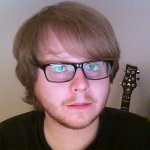 I think gam­ing is di­verse and gamers have been rev­el­ing in that di­ver­si­ty for many years. Things have got­ten worse re­cent­ly in the crit­ics sphere, but I hope we can move into a world where a game is judged on its ac­tu­al con­tent. Not the un­re­al­is­tic ex­pec­ta­tions of oth­ers. In today’s cli­mate, it is eas­i­er than ever for a gem like S.T.A.L.K.E.R. to fall by the way­side and be sav­aged for not fit­ting the cul­tur­al ex­pec­ta­tions of oth­ers. And I think that is a trav­es­ty. Gamers are glob­al. Developers are glob­al. When will the press and their pet de­vel­op­ers catch up?